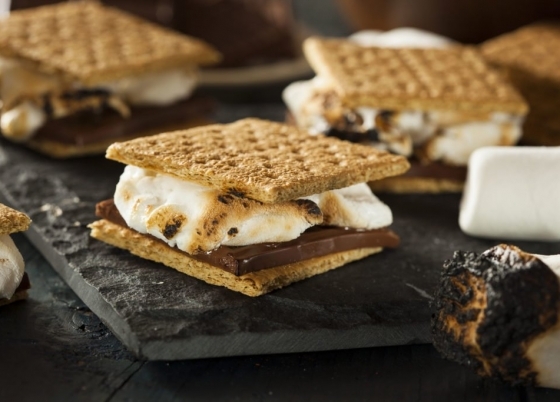 Helping you create unforgettable memories to treasure for years to come, our S’mores & More Package provides all the ingredients needed for a picture-perfect evening with your loved ones. Gather your family around a crackling beach fire pit and indulge in a time-honored ooey-gooey vacation treat. Don’t worry – we have dinner covered too! Before you head out to the beach for dessert, enjoy a Pizza Party on us at our famous Scoops & Slices! – Coupon Book with over $250 in savings in Resort outlets; enjoy family activities, restaurant savings, golf, spa services and merchandise, and more! Offer cannot be combined with other packages, promotions, Homes of Distinction or group rates, and cannot be applied to existing reservations. Offer is subject to availability and may only apply to certain accommodation types. Breakfast will be at the Harbourside Bar & Grill. Unused portions of the free breakfast will be forfeited and not reimbursed in cash. Resort fee and taxes additional. This rate is non-commissionable.